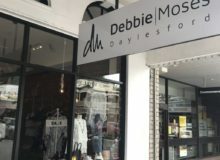 We are delighted to let you know that a selection of our Treasures from a Shipwreck Coast jewellery is now available at Debbie Moses Daylesford. So if you are heading to central Victoria make sure you drop into this gorgeous boutique! It’s 2019 already and here in Ha Noi, everyone is gearing up for the Lunar New Year celebrations. It’s been freezing but is milder now. 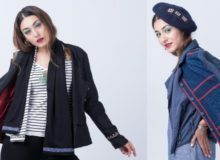 It’s layering weather and we have some lovely jackets, berets, shawls and shrugs to take the bite out of the cold for you. Head to our showroom in Tay Ho or to one of the other stores featuring Future Traditions. 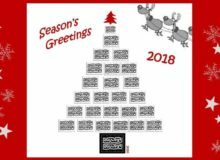 We’d like to wish everyone a wonderful festive season! We have so many people who contribute to Future Traditions. Thank you to all the fabulous textile producers, garment & product makers, silversmiths, suppliers, customers and friends. May this holiday season be filled with friends, family, love and laughter for all of you. – how do we give antique textiles a new wearable life whilst preserving the integrity of the original design and garment. This comes with a responsibility and we hope you will like how we have done this with our new Limited Edition poncho scarves, made from antique ethnic Thai textiles. The textiles come from a village in Nghe An province who produce handwoven textiles for us. Whilst keeping pieces for their own textile heritage, some are available for us. We have been thinking about this design for some time and we’re pretty pleased with the result. at 73 Cromwell Street, Collingwood. 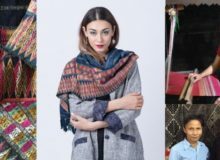 An initiative of the Pop-Up Collective Australia and Temples and Markets, this event brings together a wonderful range of ethical and fair trade designers and brands for ONE-WEEKEND-ONLY! We’re delighted to be a part of this event and will not only have a selection of our clothing range, but also our jewellery, new silk velvet shawls and shrugs, and our Christmas decorations. Lots of gift ideas to help you get into the festive spirit. Christmas festivities are already well under way. Thank you to everyone who came to our showroom and helped us celebrate last weekend. The showroom will be open as usual this week and we’ll also be at the Tay Ho Community Christmas Market, at what is fast becoming a long awaited for annual event. 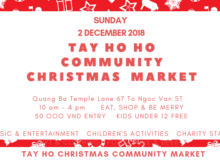 Sunday 2nd December at the Quang Ba Temple from 10am to 4pm. 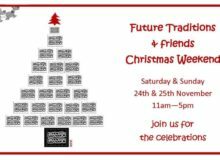 To celebrate the festive season join us for a weekend of mulled wine, gift shopping and Christmas cheer! Better World, Thanh’s textile creations, Fermented Bread and others will be joining in the fun. 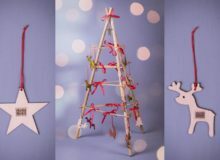 And of course we’ll have our Christmas trees, decorations and lots of special things to fill your stockings! To celebrate Vietnamese Women’s Day and United Nations Day, Future Traditions is offering 15% off our Ao Dai until 27th October. This includes short and long ao dai, yoke neck and cap sleeve ao dai featuring Hmong handcrafted indigo batik as well as the limited ao dai which feature handwoven, naturally dyed panels of ethnic Thai textiles. It’s a early start to get into the mood for the festive season. See you in our showroom. We’re back and inspired, thank you Vienna and Europe for such a warm welcome. This weekend it’s getting back into our local community, one which we are proud to be a part of. Join us at UNIS and see what Hanoi has to offer and all the wonderful things that individuals, business and organisations do to contribute to this community. Sign me up for FT news!